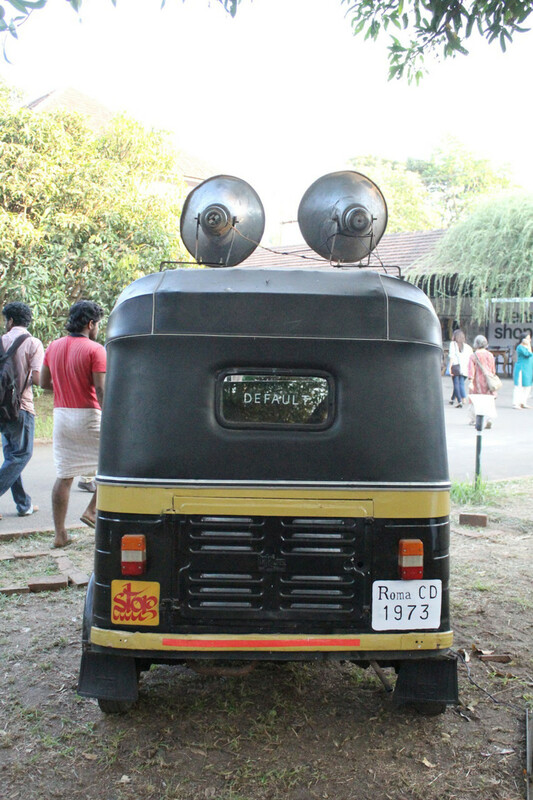 The rickshaw (also known as tuc-tuc) is a very popular means of transport in Kochi and throughout other parts of South Asia. 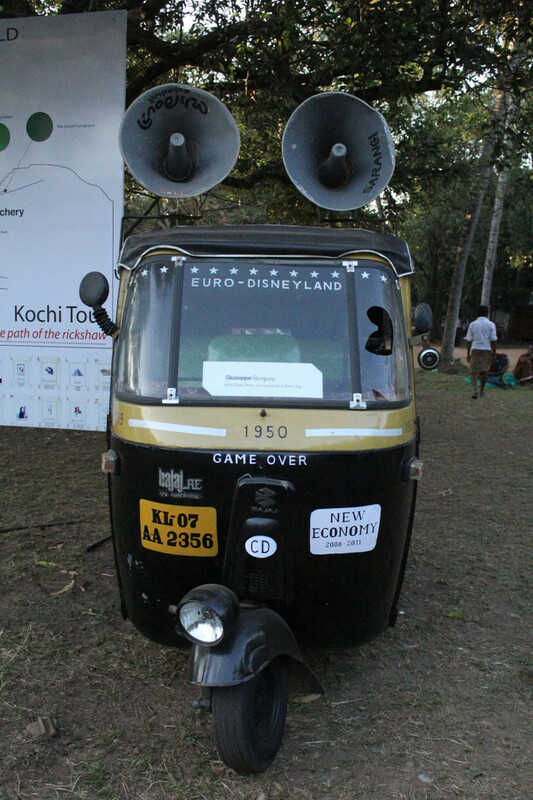 For the “Kochi Tour” a motor rickshaw goes around the city with two big megaphones, like the ones used in local political campaigns, installed on it. 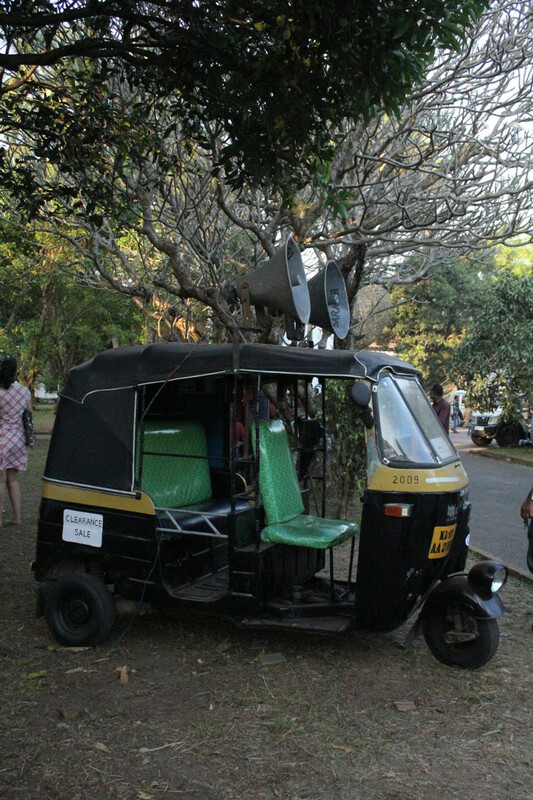 The loudspeakers propagate the Crewe and Gaudio’s 1965 song Bye-bye, Baby song by Marilyn Monroe. 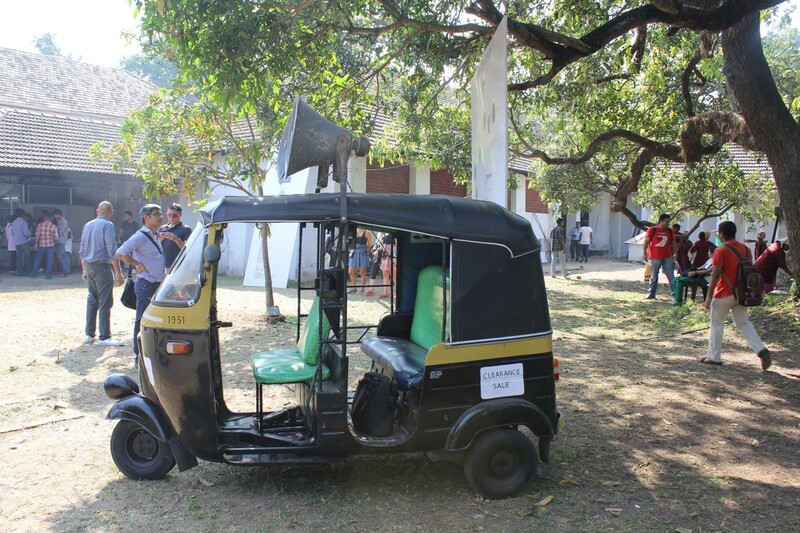 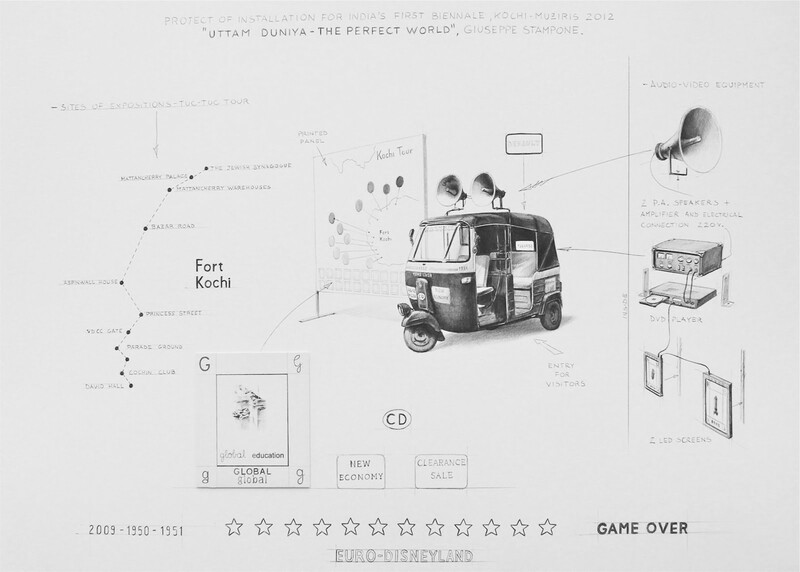 The rickshaw thus becomes a symbol of a decadent western world in crisis. 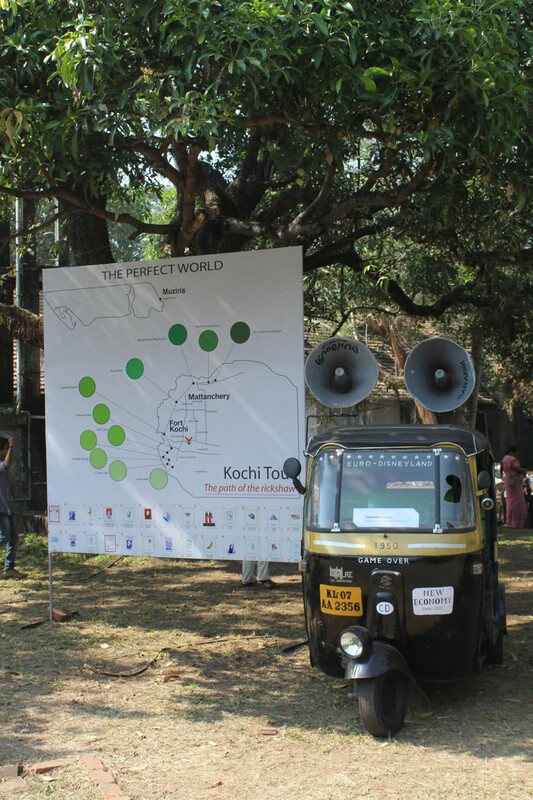 Inside the rickshaw there are two led monitors that show 200 hand drawn ABC letters, part of the ongoing “Global Education” series, and an interactive map that represents the travelling route of the rickshaw through Kochi.